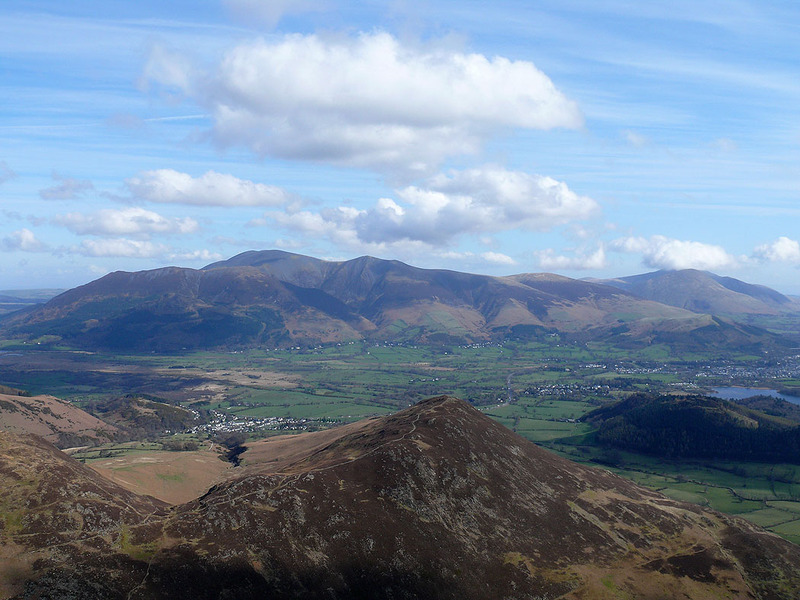 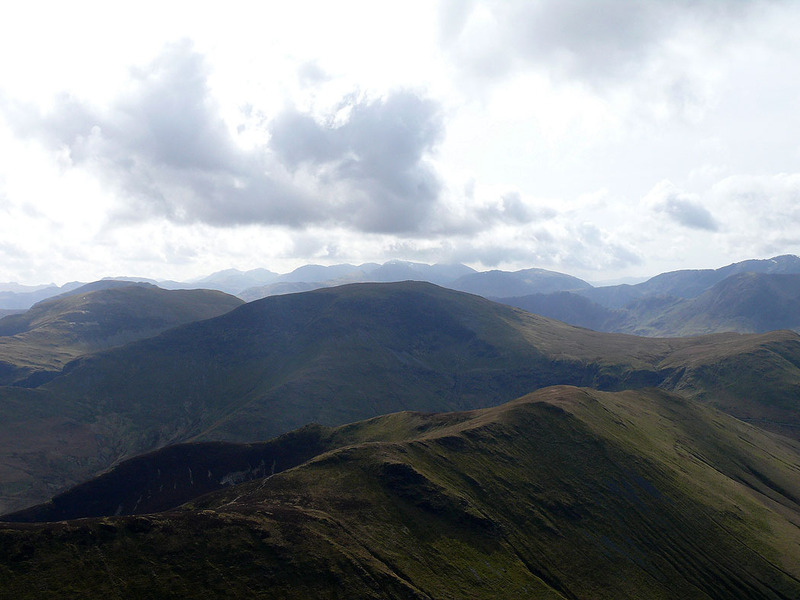 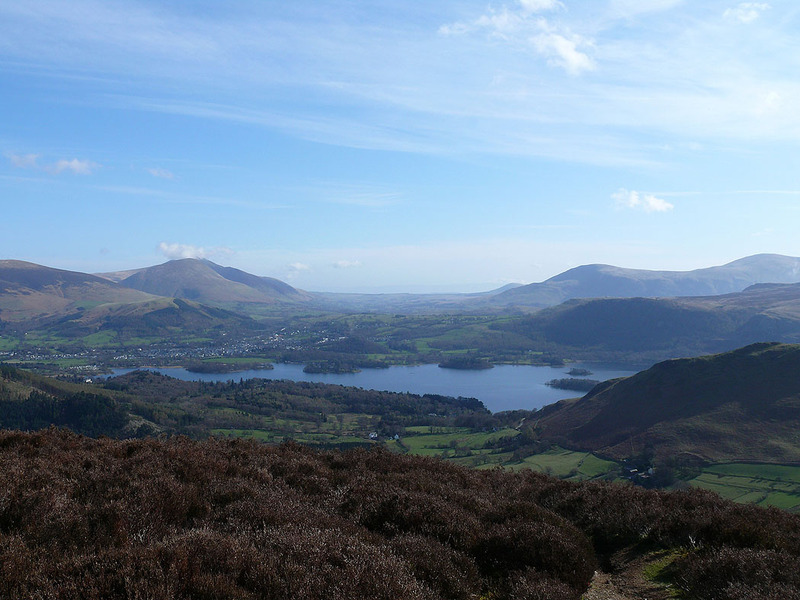 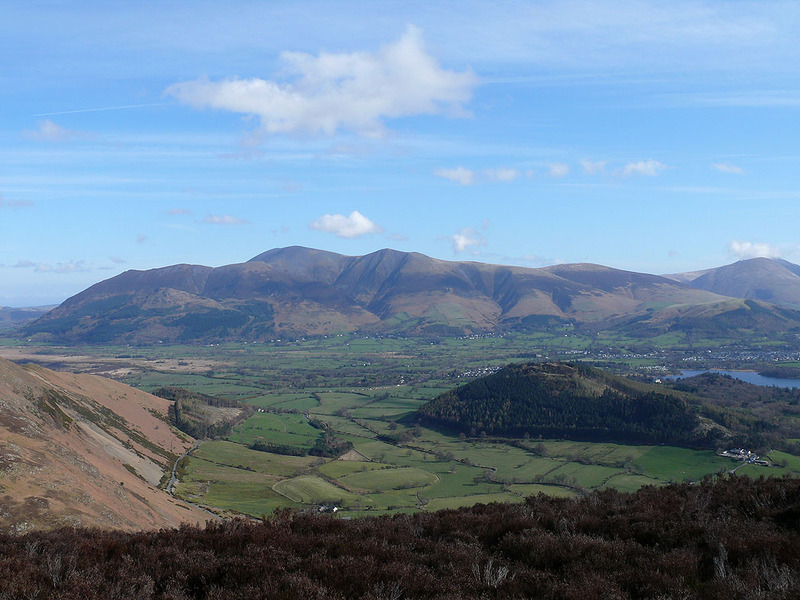 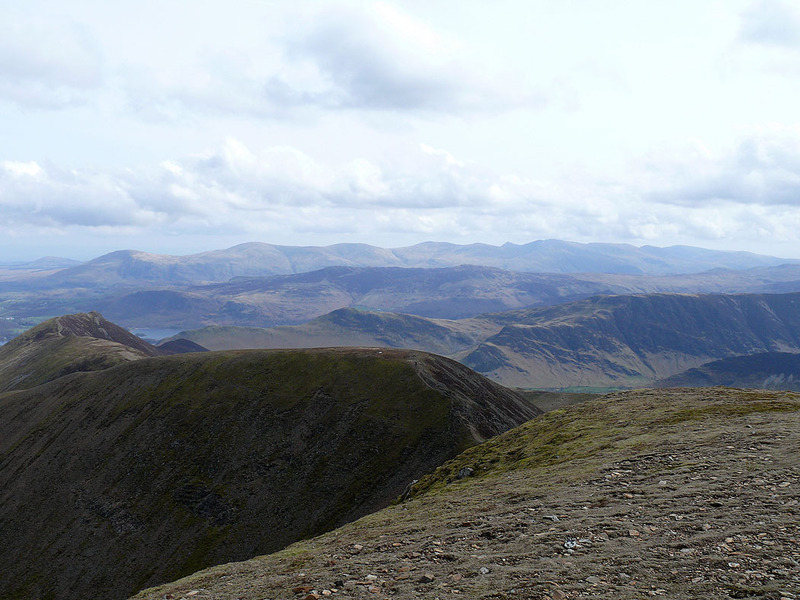 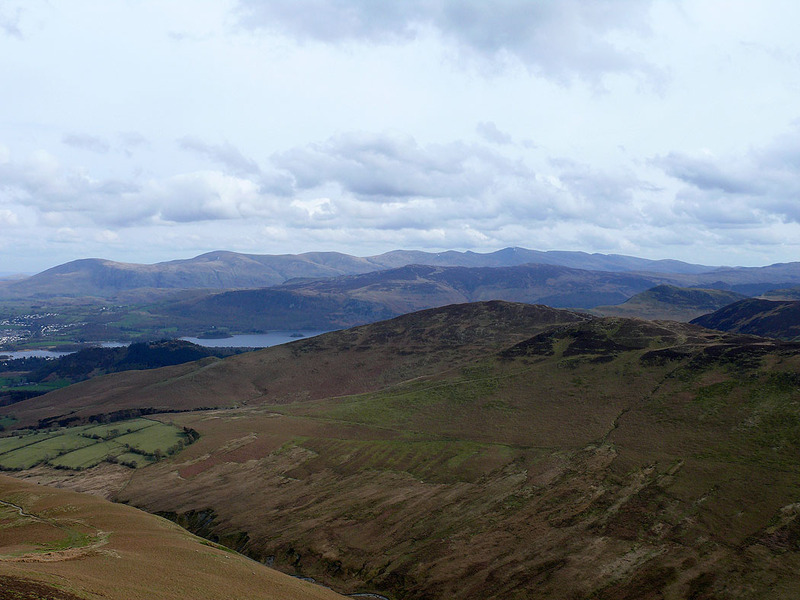 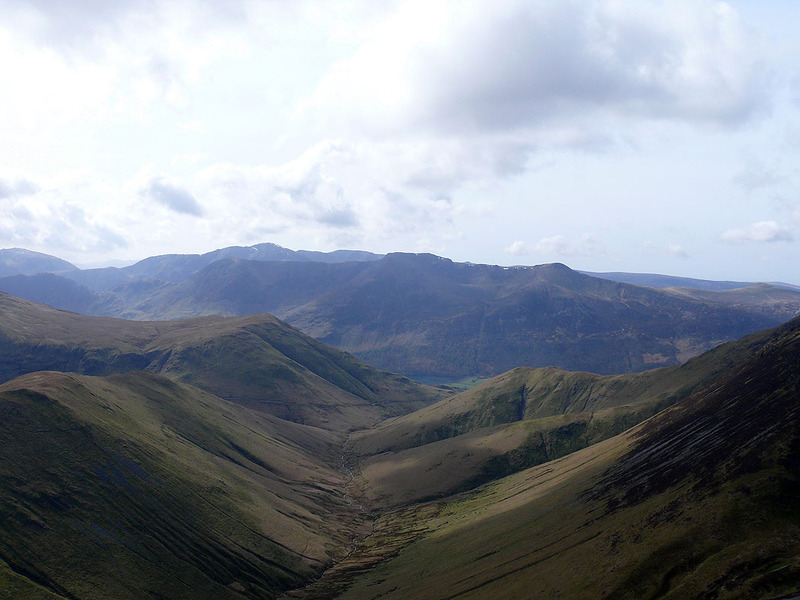 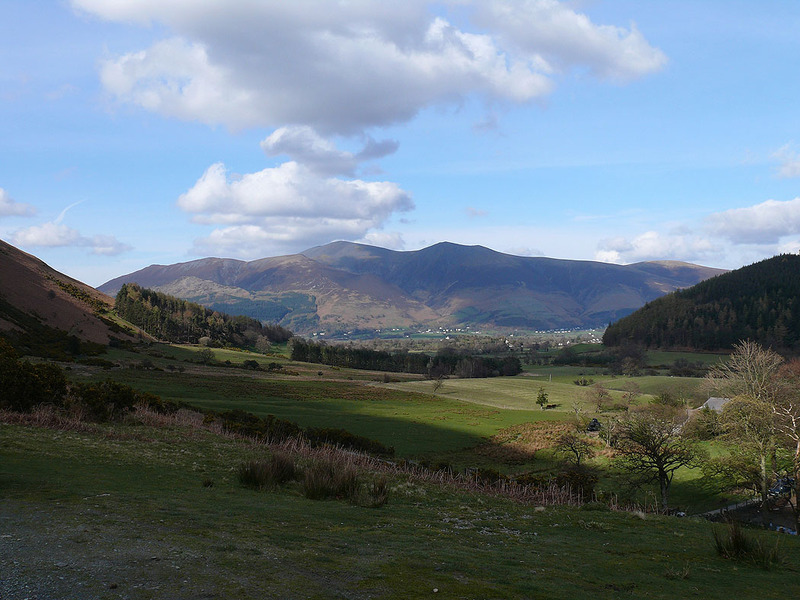 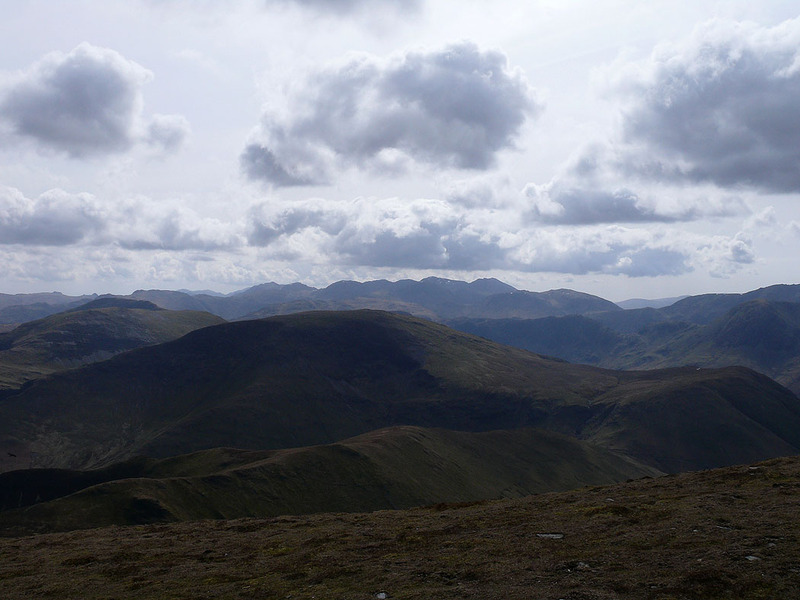 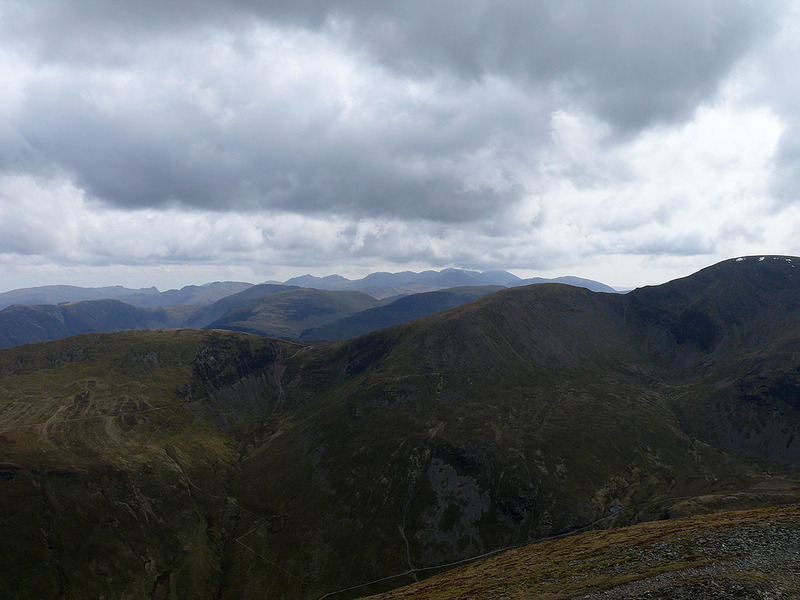 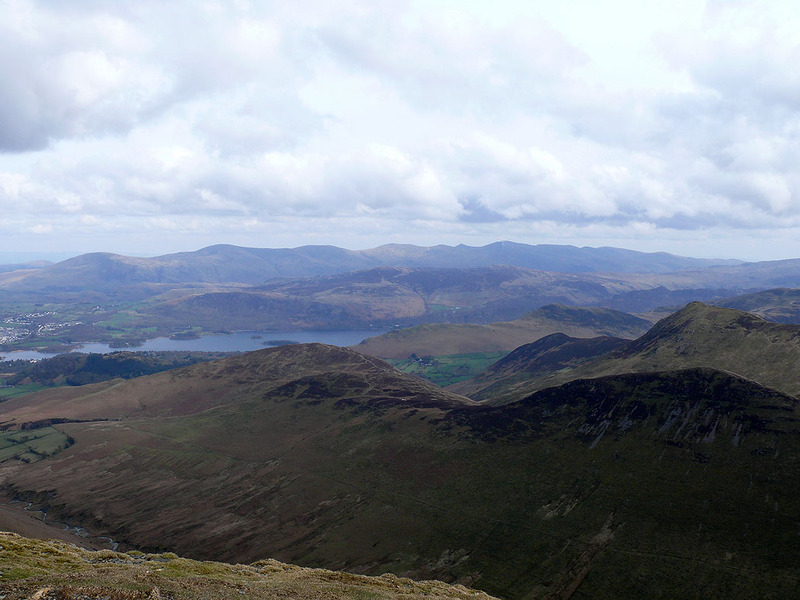 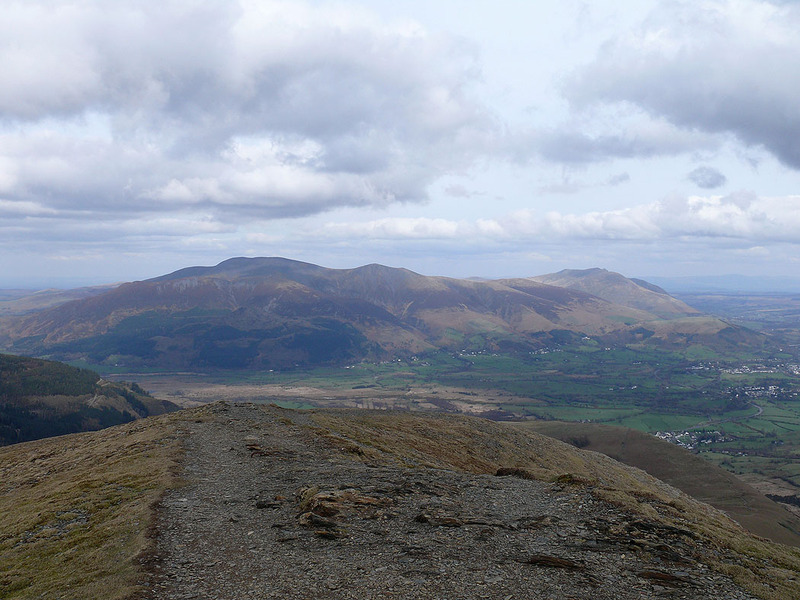 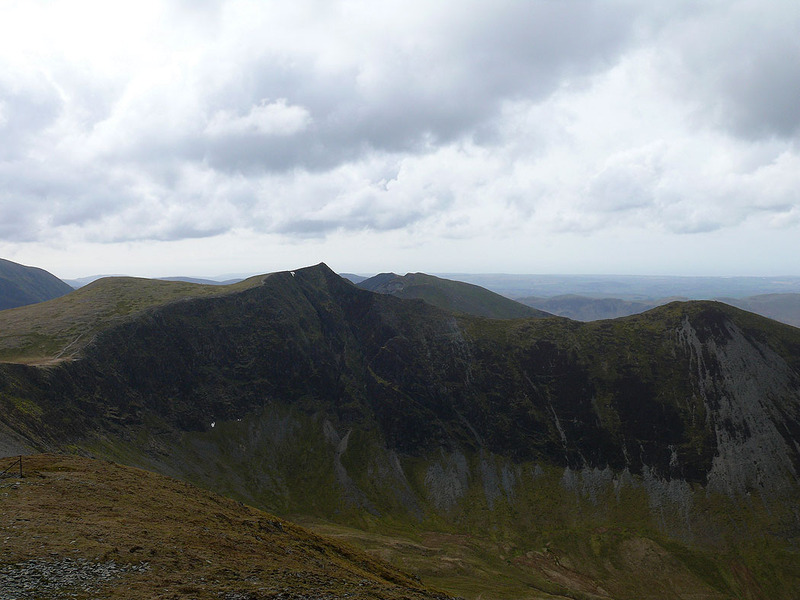 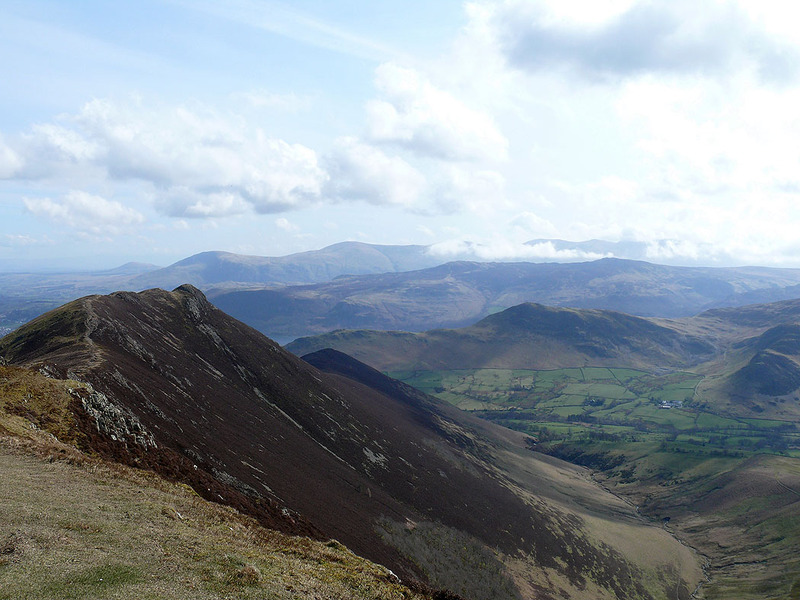 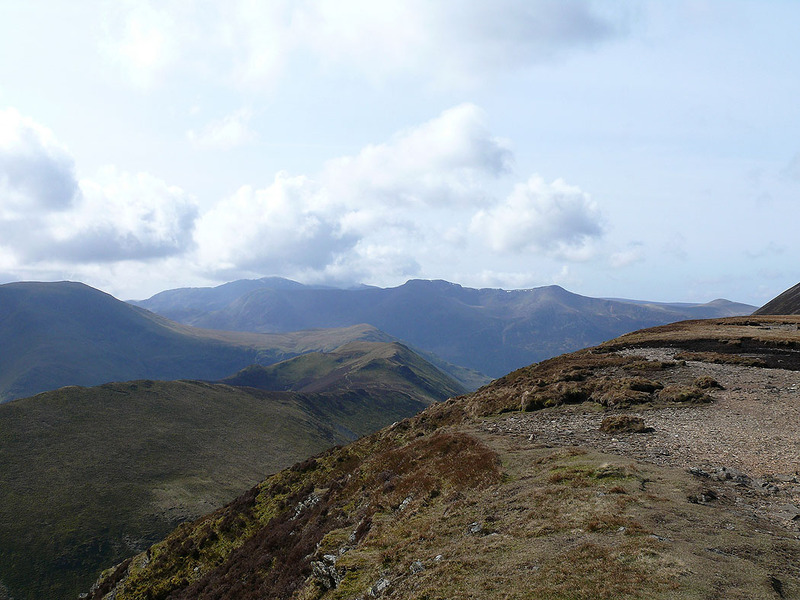 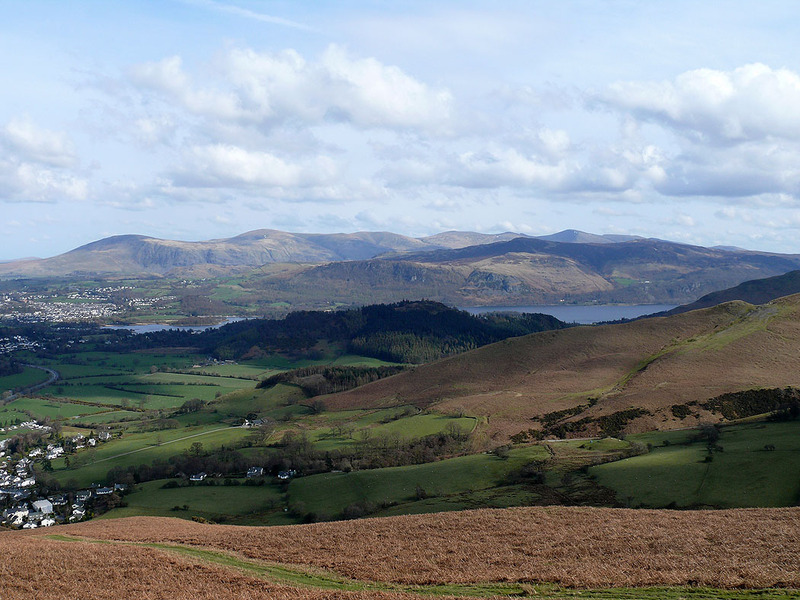 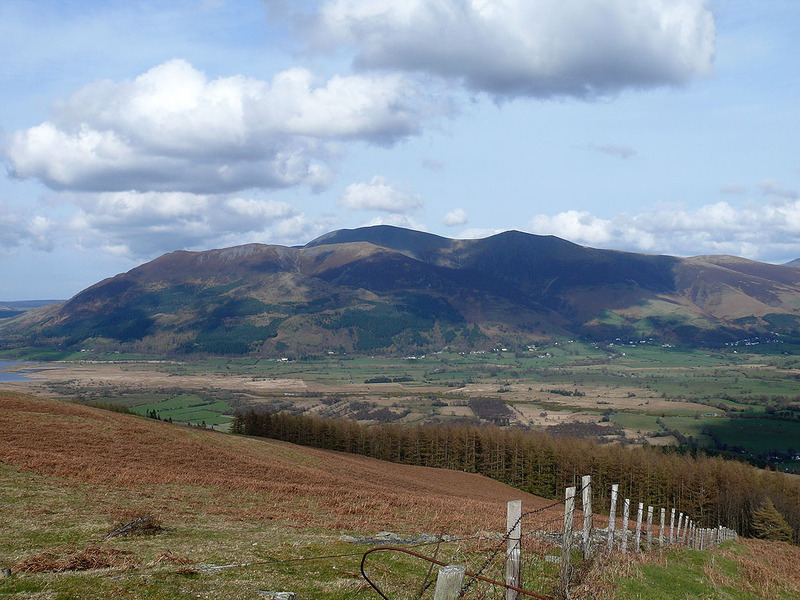 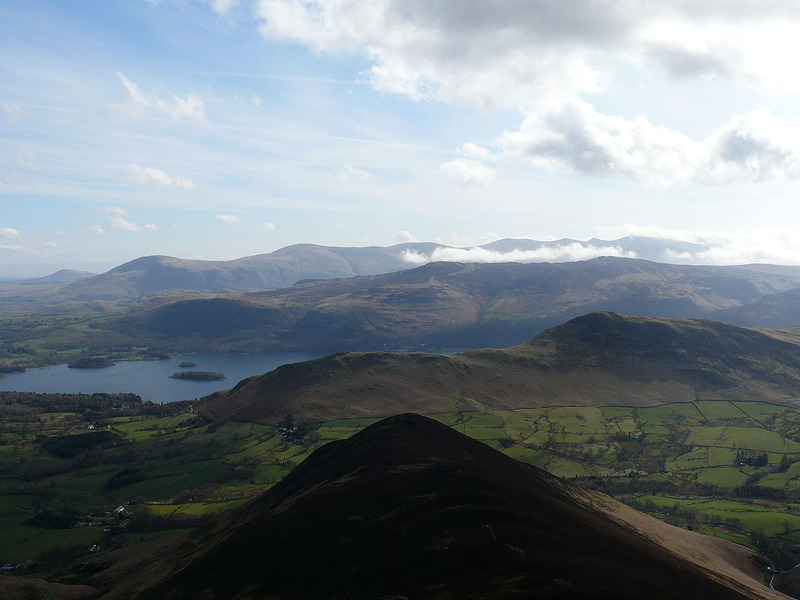 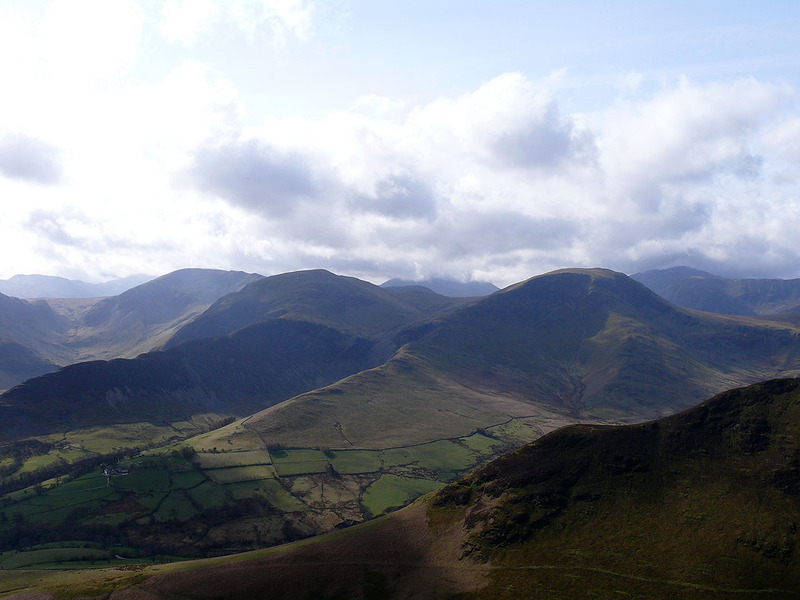 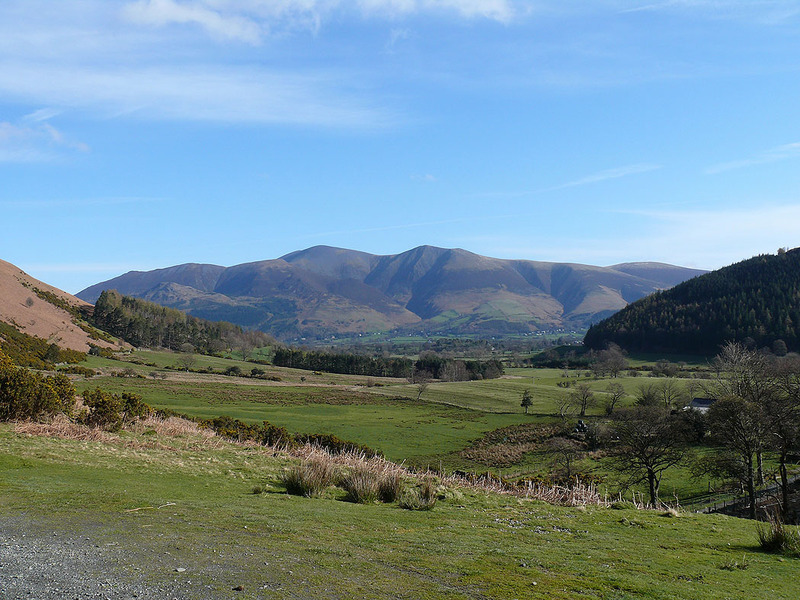 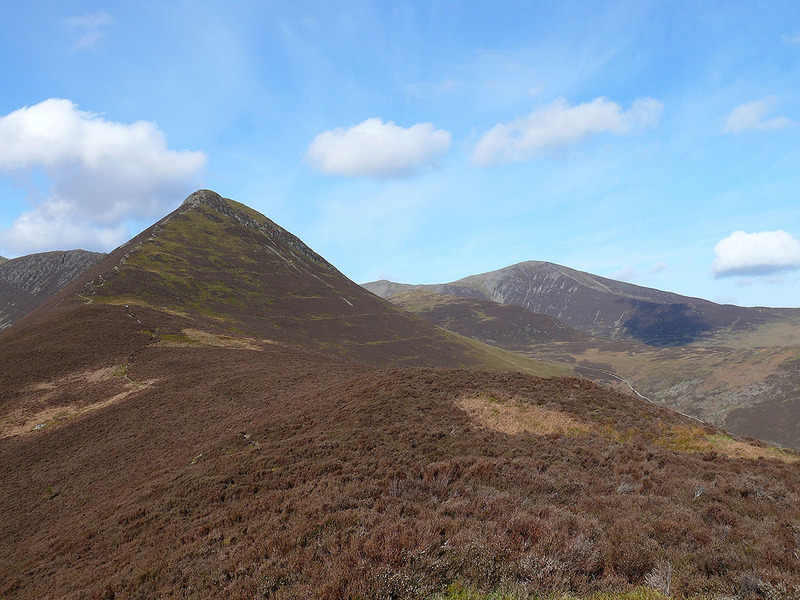 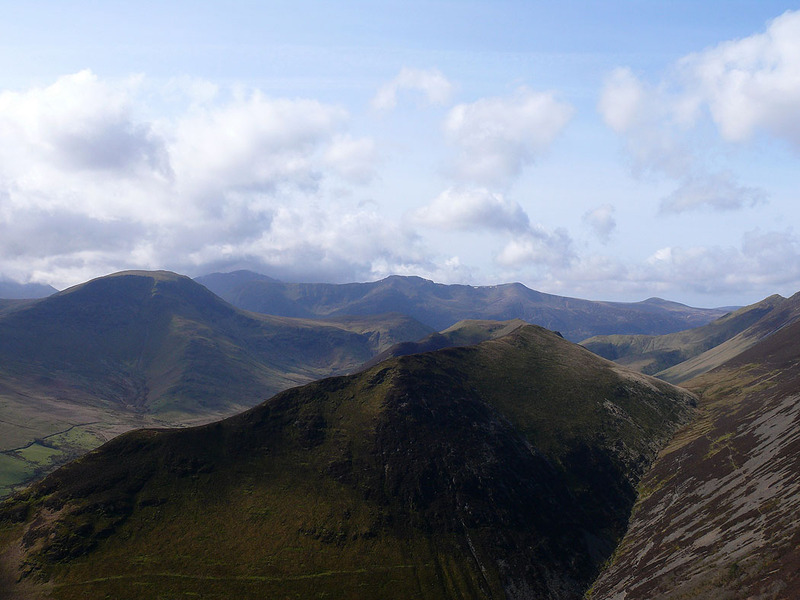 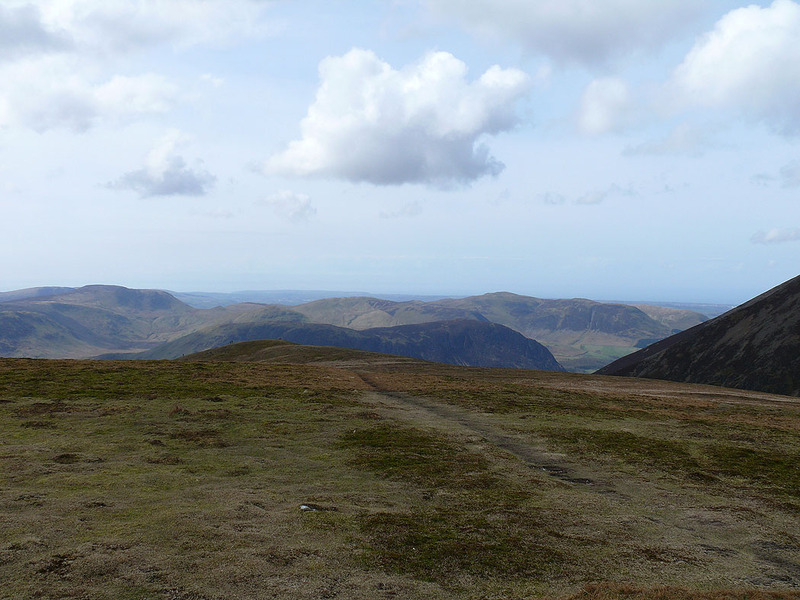 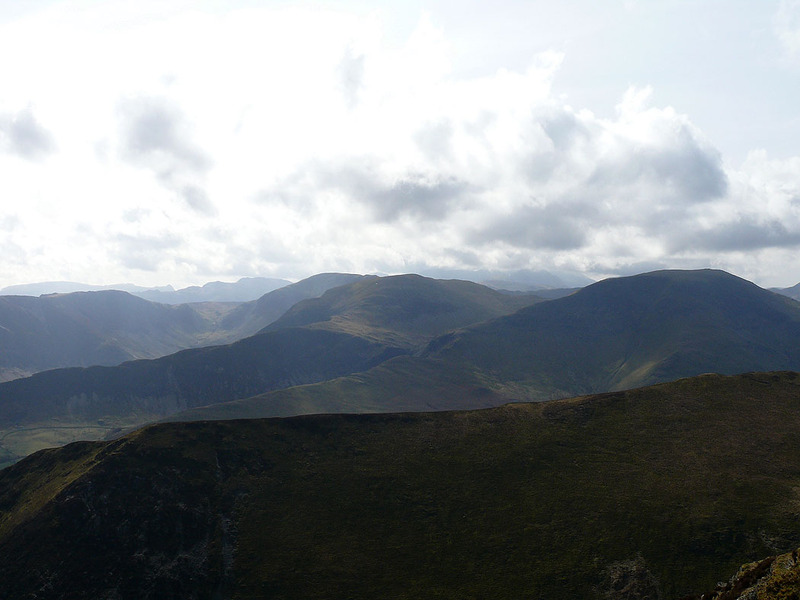 ​A walk round Coledale taking in Causey Pike, Scar Crags, Sail, Crag Hill, Wandope, Hopegill Head and Grisedale Pike. 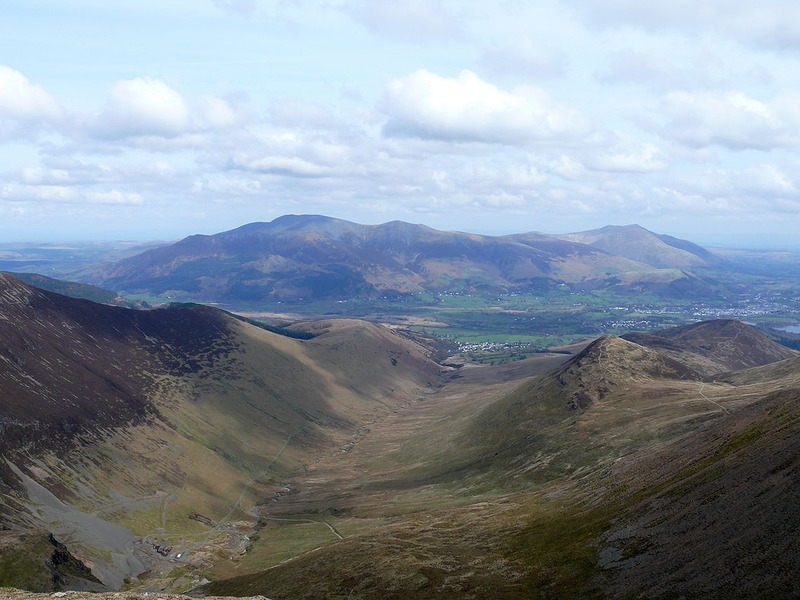 Skiddaw and Blencathra from Causey Pike. 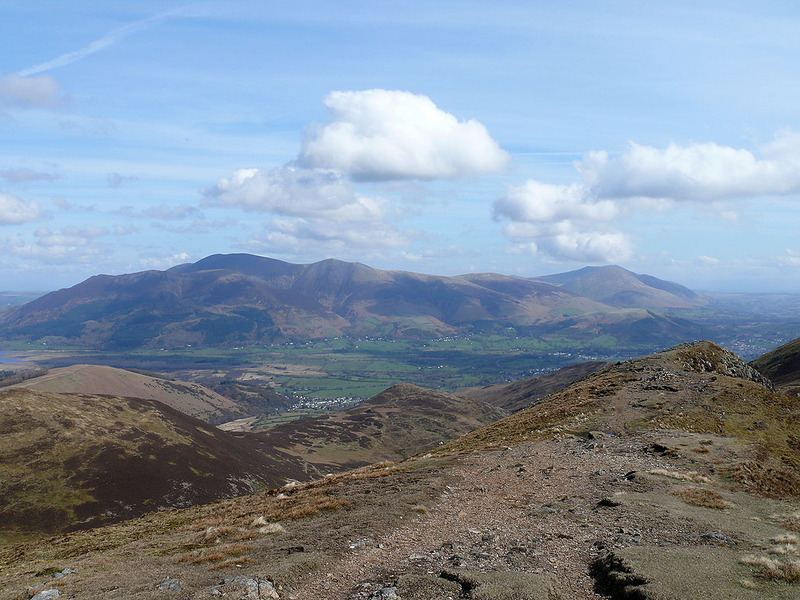 The fell below is Barrow. 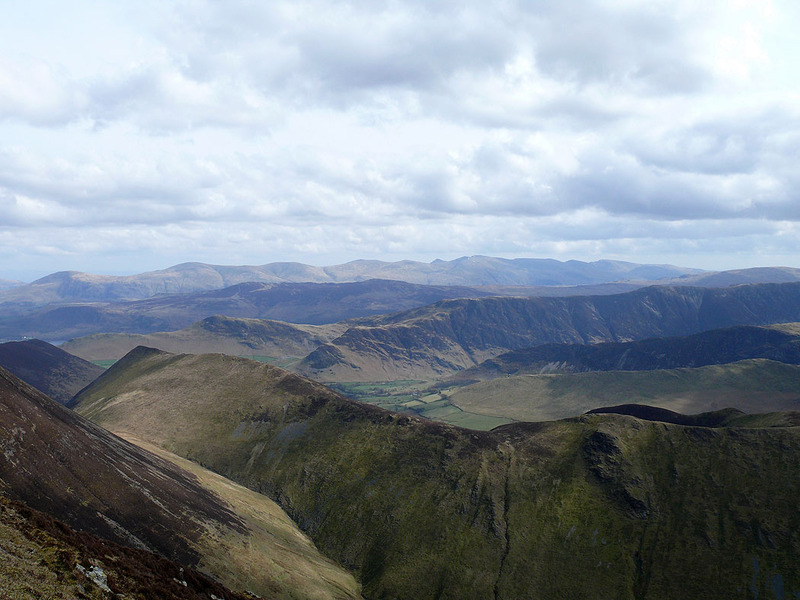 Robinson and the Ard Crags to Knott Rigg ridge. 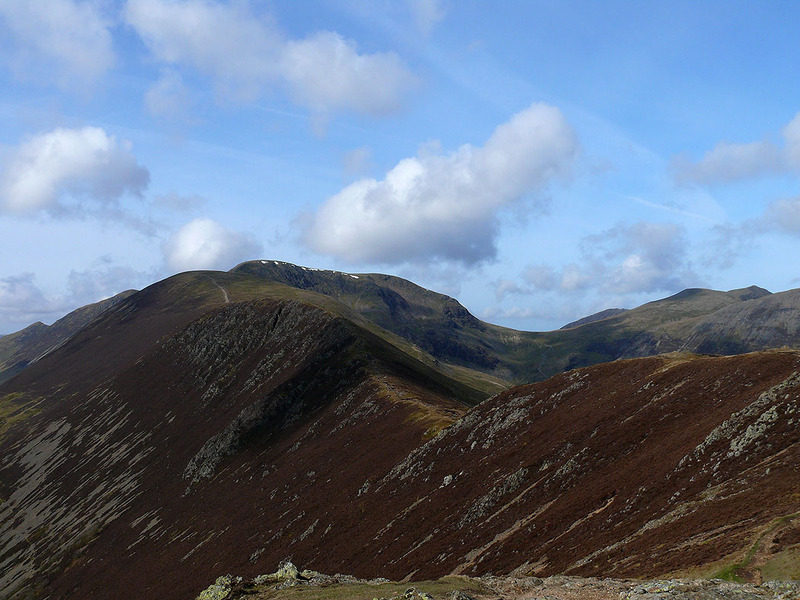 The High Stile range is in the background. 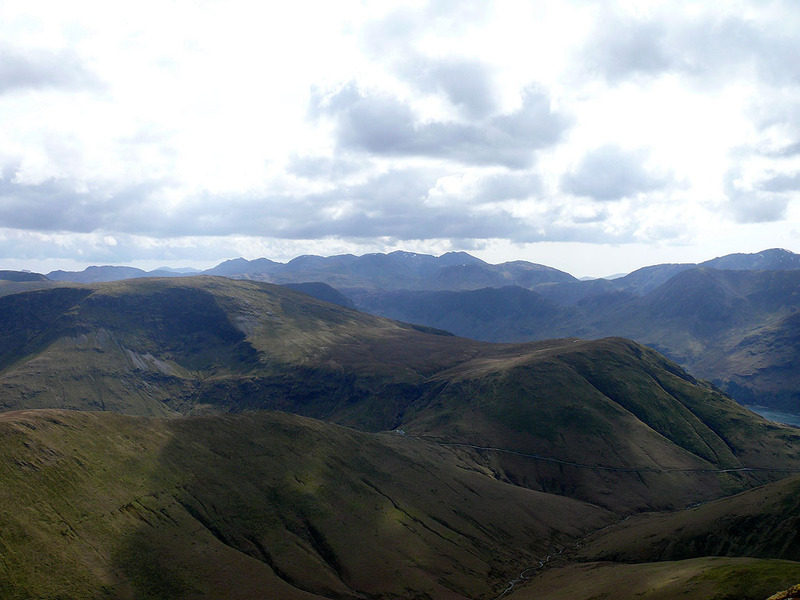 Bowfell, Esk Pike and the Scafells in the distance. 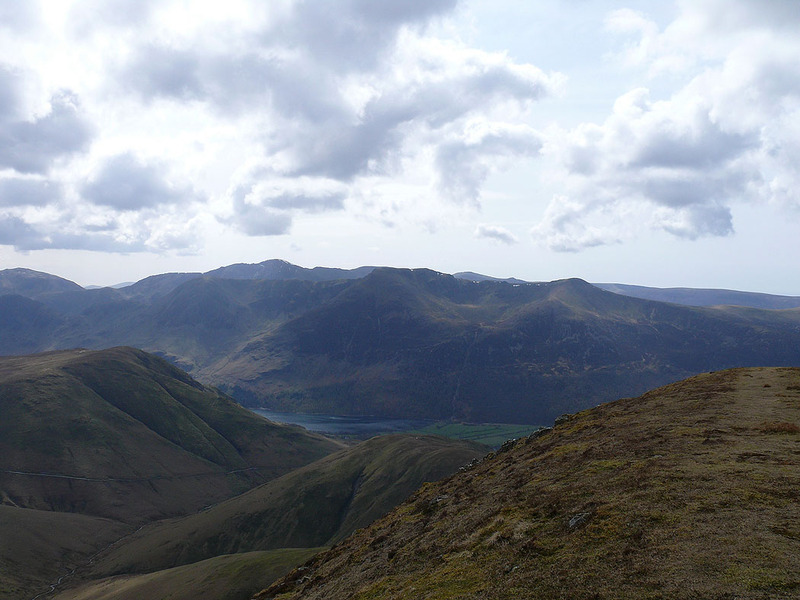 The road from Newlands Hause down to Buttermere can be seen below. 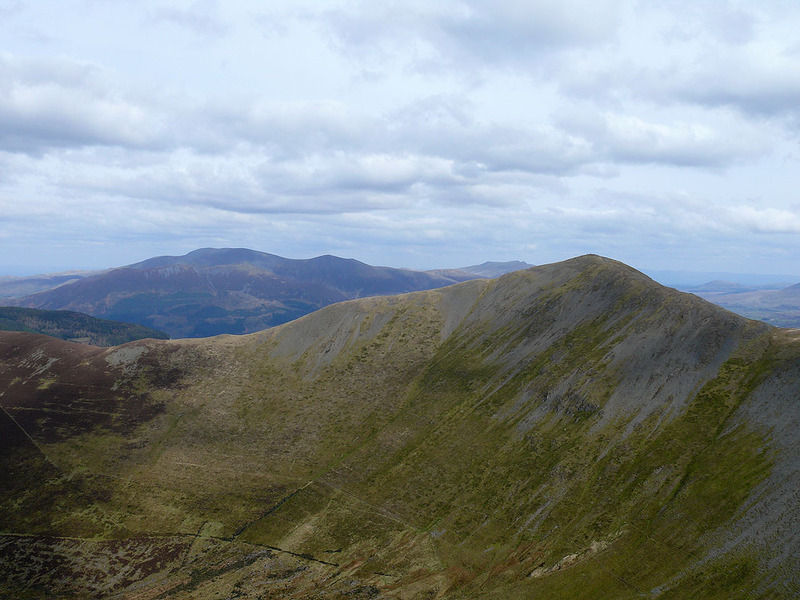 Ridge upon ridge looking east from Wandope. 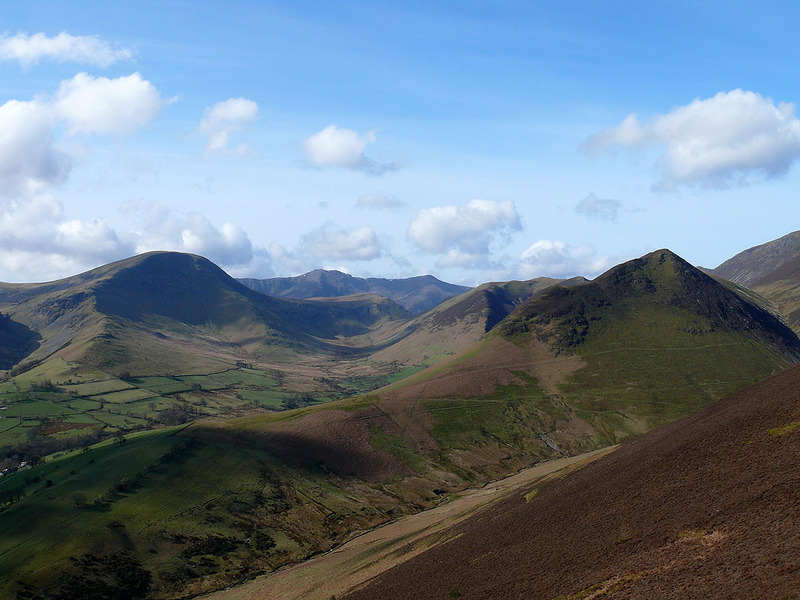 The first one below is Ard Crags to Knott Rigg, then High Snab Bank and Scope End coming down from Robinson and Hindscarth respectively. 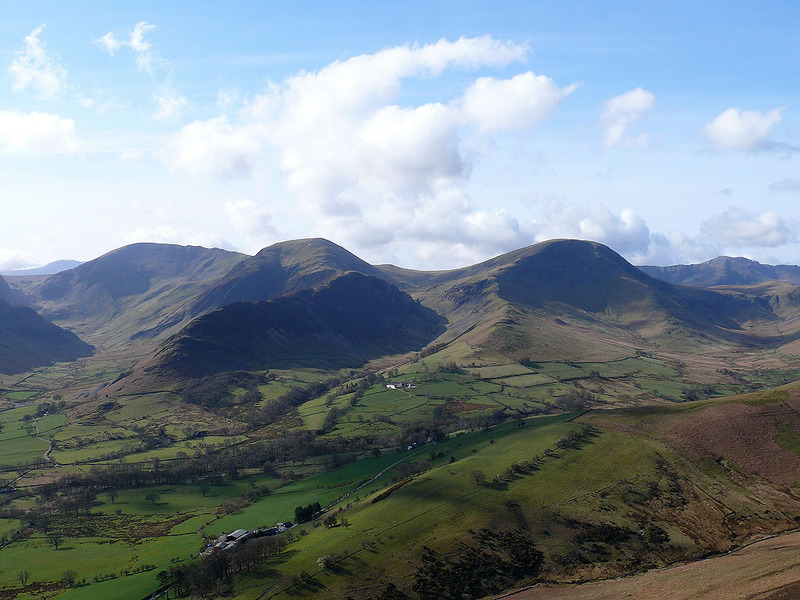 Beyond that is Cat Bells to Maiden Moor and High Spy, then High Seat and the central ridge and finally in the distance the Helvellyn range. 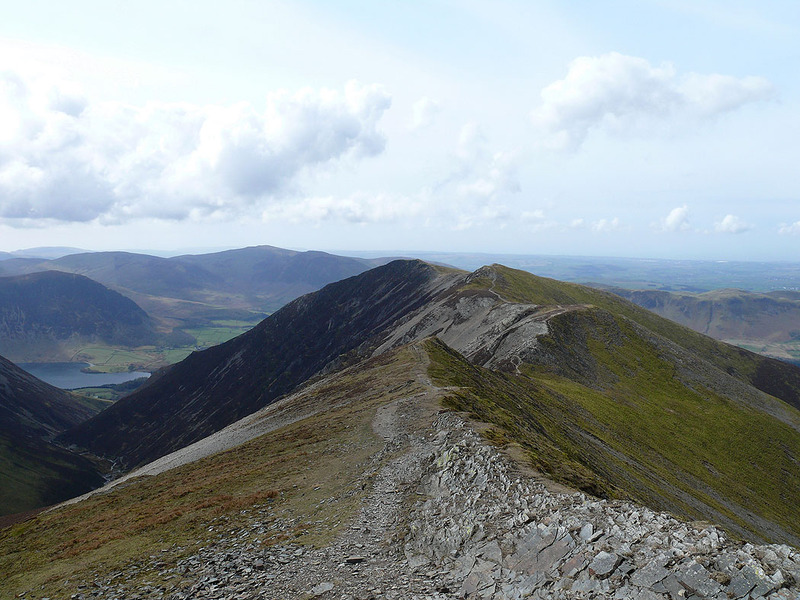 On the final summit of the day, Grisedale Pike. 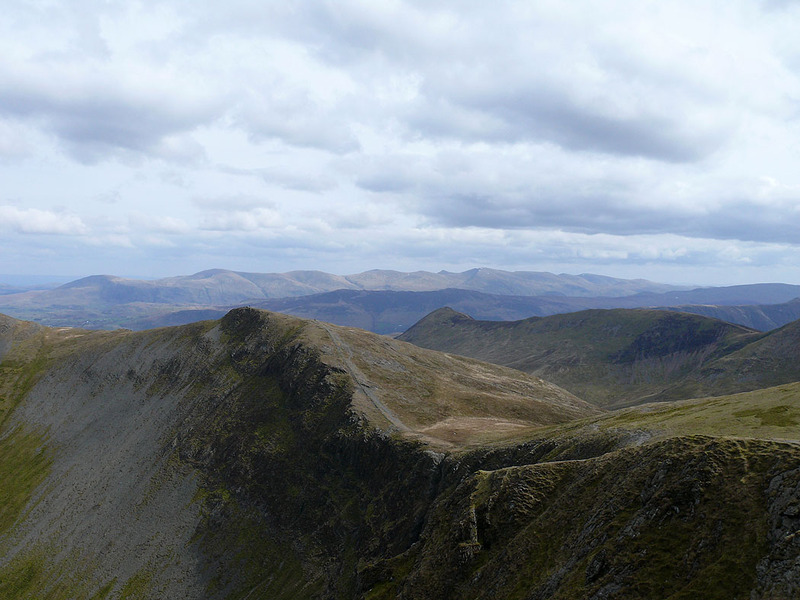 The view across to the Helvellyn range.